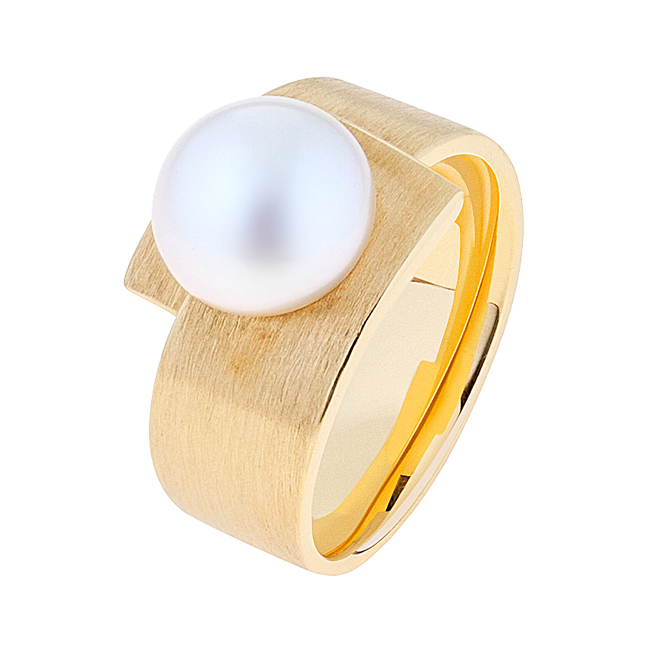 Set into a matte finish wide band ring is a unique Keshi button pearl. Normally freeform in shape, this pearl is unique because of its uniform silhouette and high lustre. A great design to wear either by its self, or with a pair of statement earrings like the Bell Gorge.